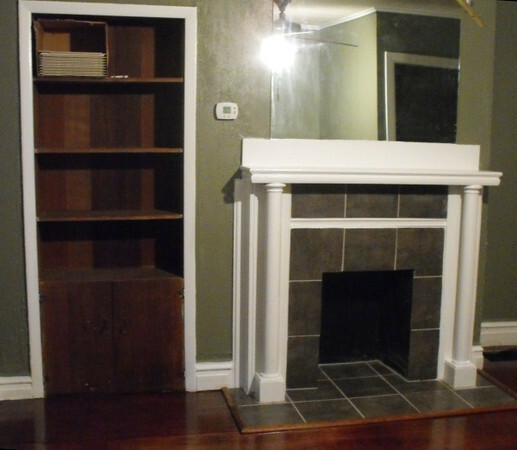 The living / sitting room in the second floor unit has a built-in book case with cupboard and shelves, plus this mantle and decorative fireplace. The door you see reflected in the top of the mirror leads to the full bathroom. The room has a modern light fixture in the center of the 9-foot ceiling.